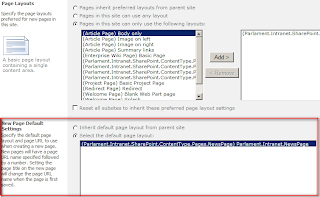 In SharePoint 2010 you have the option to choose a default page layout when you create a page. 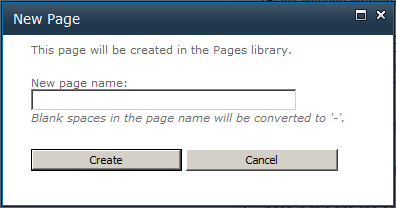 When you create a new page, a dialog pops up where you enter the name of the site. 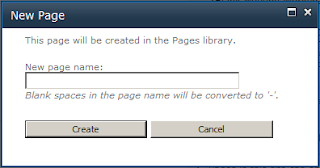 You can configure your onet.xml and define the default page by the defaultpagelayout property in the publishing feature. 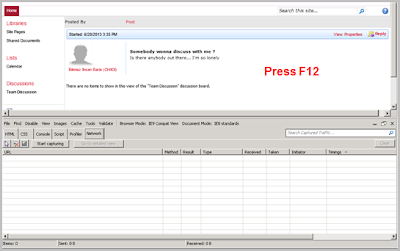 Or you can set it programmatically as described in SharePoint Blues. Each property needs a different value. You can find a good listing of the properties and values to use on blog post of Carsten Keutmann. Interesting is also the new "AllowSpacesInNewPageName" property. It does what he says. If set to false, the checkbox for "Convert spaces to '-' " in the site property settings is checked and spaces are converted to '-'. In code-behind the web property "__AllowSpacesInNewPageName" is set to true. 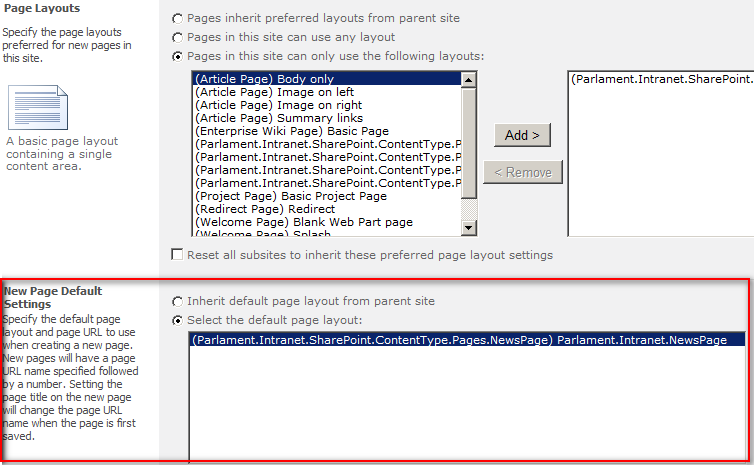 If the Publishing Feature gets activated, a web property called "__PublishingFeatureActivated" is set to true.